Please email info@sfaschool.com if you are having any issues- thanks! How do I sign up for notifications when the SFA website is updated? 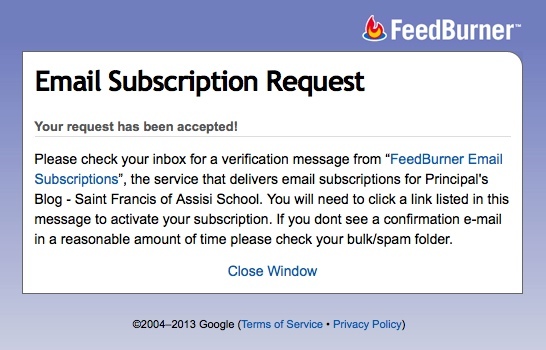 Once you click on the subscribe link, you will be directed to submit your email address to FeedBurner, powered by Google. Once you click on the verification email, you will begin to receive emails when the blogs are updated usually sent between 3pm and 5pm each day if there are updates.